Land Rover's Velar lineup is getting a new model with more "performance, luxury, and exclusivity:" the Range Rover Velar SVAutobiography Dynamic Edition. 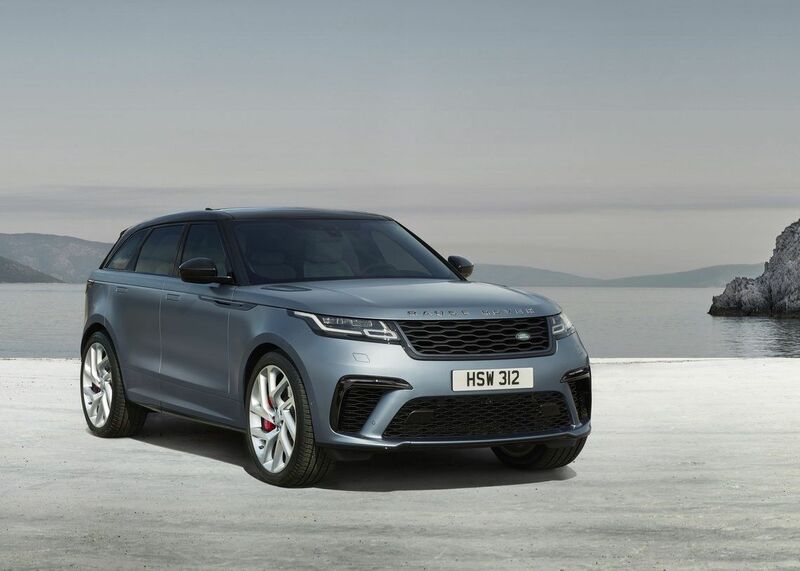 Land Rover this week unveiled the Range Rover Velar SVAutobiography Dynamic Edition, the standard Velar mid-size SUV's more powerful, luxurious older sibling. For starters, the engine has been upgraded to a 5.0-liter V8 petrol engine with a max speed of 274km/h and a 0-60km/h time of 4.5 seconds, easily making it the fastest and most powerful Velar variation in the entire Velar lineup. With increased power naturally comes increased stopping power, which is specifically provided by a set of high performance SV brakes highlighted by red brake calipers. The new set of larger wheels "generates more grip," as well as supports the larger braking system.